The Dark Avenger returns in two tales of Crime and Punishment by Walter B. Gibson writing as Maxwell Grant. 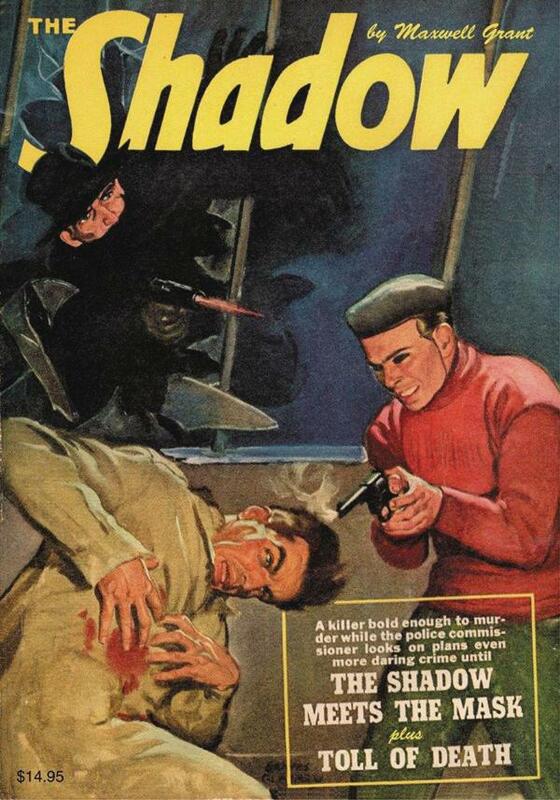 First, the law is powerless to uncover the true identity of a frozen-faced fiend until "The Shadow Meets The Mask." Then, a panoramic shadow of doom casts a "Toll of Death" upon Lamont Cranston! This collector's classic showcases both original color covers by Graves Gladney and Modest Stein and the interior illustrations by Paul Orban, with historical commentary by Will Murray.